Flagship VAPEVINE store opens in Windsor! Since starting vapevine.ca – Canada’s Favourite Vape Shop – in Dec 2014, we have been happily serving Canadians, nation-wide, 24 hours/day. Yet we have always been looking for the right Brick & Mortar location to also personally serve our Windsor customers. We are excited to announce that the time has now arrived. 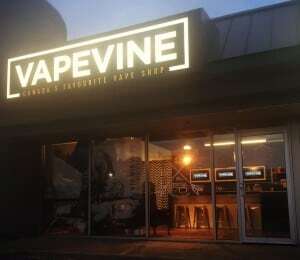 The new VAPEVINE store is now open, giving you a premium vape shop experience without the premium prices.